TOKYO -- Honda Motor Co. reported a slight rise in operating profit in the latest quarter as rising costs and foreign exchange losses weighed down gains from rising sales. Operating profit edged ahead 0.9 per cent to 269.21 billion yen (US $2.40 billion; all figures US in this story) in the company’s fiscal first quarter ended June 30, up from 266.84 billion yen ($2.38 billion) a year earlier. Net income increased 19 per cent to 207.34 billion yen ($1.85 billion) in the three months, the company said Tuesday while announcing its first-quarter financial results. Revenue advanced 7 per cent to 3.71 trillion yen ($33.02 billion) in the latest quarter, as global retail sales increased 4.5 per cent to 1.3 million vehicles, Japan’s No. 3 carmaker said. Operating profit was buttressed by higher sales in Japan and mainland Asia that offset sliding volume in North America and Europe. Honda Canada earnings are not reported separately but included in North American figures each quarter. When it comes to Canadian sales in the second quarter of 2017, they were up 9.3 per cent. Honda sold 58,532 vehicles in the second quarter, compared with 53,564 in the same quarter last year. Headquartered in Markham, Ont., Honda operates two plants in Alliston, Ont., where it produces the Honda Civic Sedan, Si and Coupe in Plant 1, and Honda Civic Sedan and CR-V in Plant 2. Honda also put behind it expenses related to an earthquake in Japan that depressed earnings a year earlier. But increased marketing and other costs damped the gains, as did losses from unfavourable foreign exchange rates. Rising r&d investments also took a bite out of profits. Tumbling sales of sedans undercut both volume and profits in the important North American market, as U.S. customers switched from passenger cars to light trucks, crossovers and SUVs. “Passenger car sales are in a tough situation,” Executive Vice President Seiji Kuraishi said. Honda tried to preempt the trend by dialling down production of its Accord midsize sedan to clear inventories ahead of the arrival of a full redesign of the nameplate this fall. Nevertheless, Honda lifted its full-year earnings outlook for the current fiscal year ending March 31, 2018, citing expected gains from shifting foreign currency rates. Honda now predicts full-year global operating income will come in at 725 billion yen ($6.45 billion). The new target represents a decline of 14 per cent from the year before, but the decline is less than the 16 per cent fall the company had originally forecast in April. 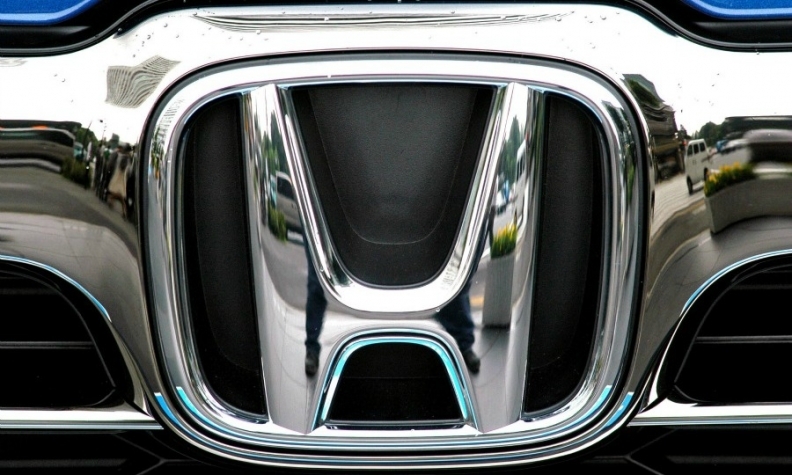 Net income is now forecast to fall 12 per cent to 545 billion yen ($4.82 billion), also a smaller decline than the 14 per cent retreat Honda had forecast before. First-quarter results were driven by booming business in Asia, which is anchored by China, the world’s biggest auto market. Asia posted increases in regional operating profit and sales. Operating profit in Asia expanded 8.3 per cent to 97.83 billion yen ($870.8 million), while sales climbed 15 per cent to 523,000 vehicles in the quarter, making Asia Honda’s biggest market. North America, on the other hand, emerged as a weak link. Regional operating profit in North America dropped nearly 41 per cent to 101.60 billion yen ($904.4 million) in the fiscal first quarter ended June 30. North American sales slid 5.7 per cent to 481,000 vehicles. European regional operating profit surged more than fivefold to 6.65 billion yen ($59.2 million), even as sales there dipped to 42,000 units from 45,000 the year before.